KOLTECH, the worldwide manufacturer and supplier of underfloor wheel lathes, above floor wheel lathes as well as other advanced devices and equipment designed for the needs of rail vehicle maintenance, is pleased to inform that it will be exhibiting at the biggest and the most important trade event for transport technology: InnoTrans in Berlin, Germany. This exhibition will take place from 20 to 23 September in Berlin. 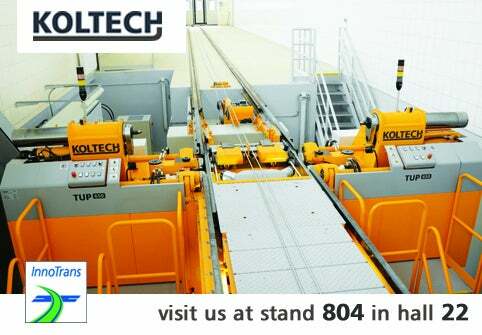 You are welcome to visit our stand number 804 in hall 22 where KOLTECH professional team will be happy to help you in getting familiar with KOLTECH products.